In its first year of service, Viking Ocean Cruises® (www.vikingoceancruises.com) – the first entirely new cruise line in a decade – has been named the #1 Ocean Cruise Line by Travel + Leisure readers in the 2016 World’s Best Awards. Viking launched its first ocean ship, Viking Star®, in April 2015, and this win comes on the heels of the new cruise line launching its second ocean ship, Viking Sea®, in April 2016. Viking’s win of the #1 Ocean Cruise Line unseats luxury cruise line, Crystal Cruises, which held the title in the category for 20 years in a row. Travel + Leisure’s World’s Best Awards are based on results from an annual survey, where readers are asked to cast their votes for the very best in cruising with considerations in the following cruise features: cabins/facilities, restaurants/food, service, itineraries/destinations, excursions/activities and value. Viking will also be featured in the magazine’s World’s Best issue, which will be on shelves in July; the full results of the awards can be found at http://www.travelandleisure.com/worlds-best. Viking Ocean Cruises is quickly amassing industry awards. 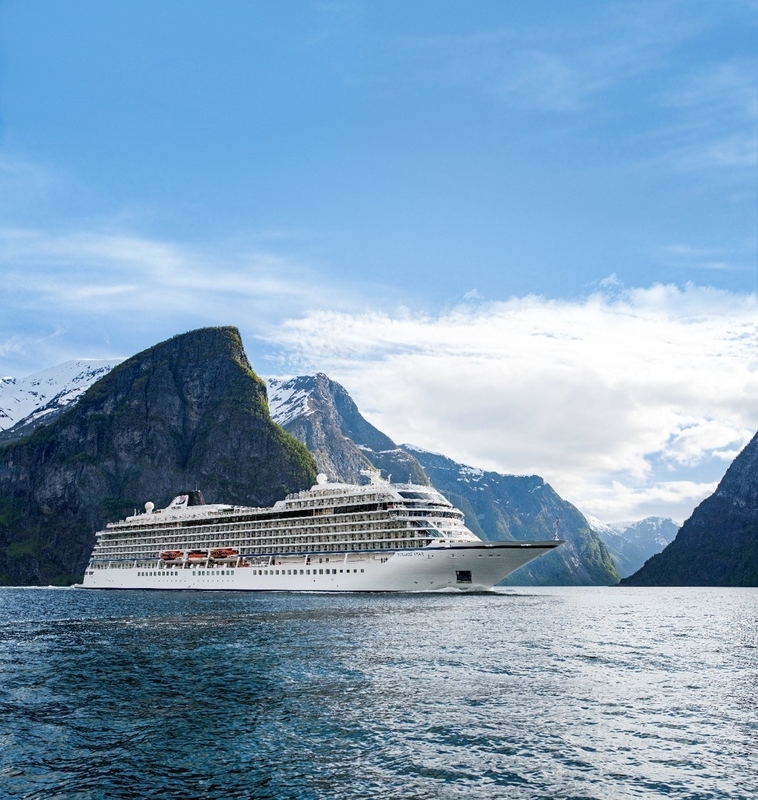 The company’s second ocean vessel, Viking Sea, was recently awarded a top rating of five stars by Cruise Critic, a distinction previously bestowed to Viking Star – which was also named “Best New Ocean Ship” of 2015 in Cruise Critic’s Editors’ Picks Awards. Additionally, the ship received three top awards in the 6th Annual Cruisers’ Choice Awards and was the highest rated ship in its category in the 2016 version of “cruising bible,” Berlitz’s Cruising and Cruise Ships guidebook. Viking will welcome two additional ships in 2017, Viking Sky® and Viking Sun®, whose maiden voyage will be a 141-day world cruise spanning 5 continents, 35 countries and 66 ports. Two remaining, yet-to-be-named ships will be delivered in 2018 and 2020. In addition, Viking Inclusive Cruising provides a small ship experience at a big ship value—with every cruise fare including a veranda stateroom, shore excursions in each port of call, all onboard meals, and all port charges and government taxes. Guests also enjoy many complimentary amenities as part of their fare, including: beer and wine with lunch and dinner service; premium dining reservations; Wi-Fi; self-service laundry; access to the Thermal Suite in the LivNordic Spa; and 24-hour room service—an included value of more than $200 per person, per day. From now through July 31, 2016, Viking is offering U.S. residents a Special Savings Discount on 2017 and 2018 Ocean Cruises, with up to $1,000 off air per person. Contact a travel agent or call Viking toll free at 1-855-8-VIKING (1-855-884-5464). Viking Cruises offers destination-centric river and ocean cruising designed for experienced travelers with an interest in geography, culture and history. Featuring onboard cultural enrichment and included shore excursions, Viking’s journeys are competitively priced for genuine value. As the world’s leading river cruise line, since its 1997 inception the company has grown to a fleet of 59 river vessels (in 2016) offering scenic cruising along the rivers of Europe, Russia, Egypt, China and Southeast Asia. Named Cruise Critic’s “Best New Ocean Ship” of 2015, the sophisticated state-of-the-art Viking Star hosts 930 guests on itineraries in Scandinavia and the Baltic; the Western and Eastern Mediterranean; and the Caribbean and North America. The company’s second ocean ship, Viking Sea, launched in April 2016; a third ship, Viking Sky, is under construction for delivery in early 2017; and three additional sister ships are on order. In 2015 Viking was rated the highest of all cruise lines in Travel + Leisure’s “World’s Best” Awards after appearing on – and topping – the river cruise rankings multiple times. In Travel + Leisure’s 2016 “World’s Best” Awards Viking was named the #1 Ocean Cruise Line. Viking has also been honored multiple times in Condé Nast Traveler’s “Gold List” as well as recognized by the editors of Cruise Critic as “Best River Cruise Line” and “Best River Itineraries,” with the entire Viking Longships® fleet being named “Best New River Ships” in the website’s Editors’ Picks Awards. The travel trade has ranked Viking as the “Best River Cruise Line” by Travel Weekly, Recommend and Travel Agent magazines, “Best Cruise Line for Luxury River Cruises” at the Luxury Travel Advisor Awards of Excellence and as “Best Overall Cruise Line for River Cruising,” “Best New River Cruise Ship” and for the seventh consecutive year, “Best River Cruise Line for Travel Agent Support” in the 2015 TravelAge West’s WAVE Awards. For additional information, contact Viking Cruises at 1-855-8-VIKING (1-855-884-5464) or visit www.vikingcruises.com. To join the Viking Cruises community online, visitwww.facebook.com/vikingcruises, www.facebook.com/vikingoceancruises and www.facebook.com/vikingrivercruises.